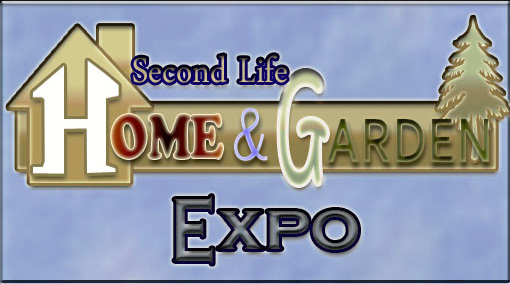 It’s a Big Day (Hunt) and the Home and Garden Expo too for Happy Hunting – now on the web! Happy Hunting has another great show – with a review of some of the amazing gifts available on Hunts all around the grid – and talks to two people who are organising some very exciting hunts! There’s news from Rosamoo of all the amazing hunts and hunt items out there for you to find – and you can find the details of all the hunts discussed right here. 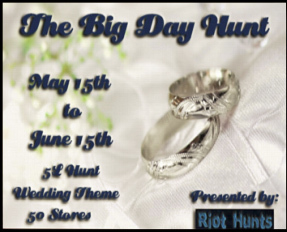 Then Cinders talks to Nomiki Tremmor of The Big Day Hunt who tells us all about her her special wedding day themed hunt – and it’s not just for brides and grooms either, but offers a selection of things for participants and guests too! Then Heavenly Villa tells Cinders all about plans for the Home and Garden Expo which will be featuring a Hunt created by those wonderful people at Whiz. Our next show will be coming from the event, but here’s a taster here now! Next Post: Last Day to apply to be a Part of the SL10B Community Celebration!